Spring is upon us. The temperatures have risen to sweatshirt-friendly and, slowly but surely, the life hidden within the earth begins to emerge. 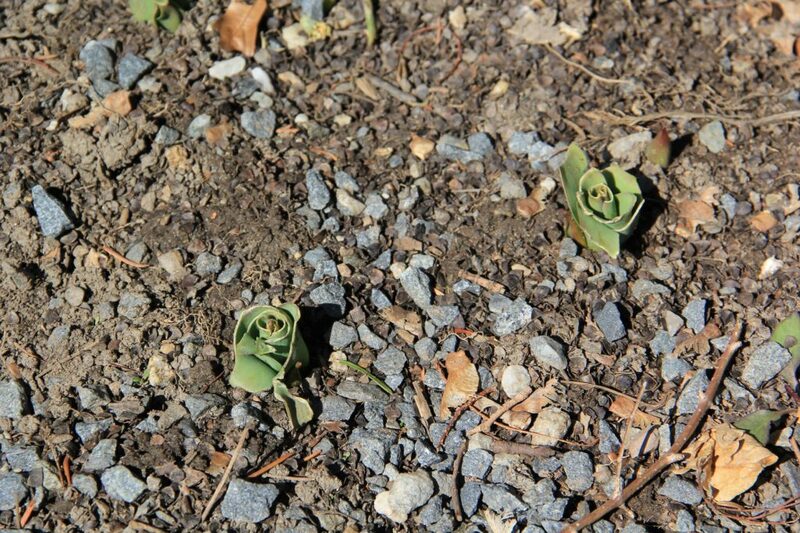 All the hard work the volunteers and garden crew put in last fall to plant spring bulbs is nearing its reward. Unfortunately, though, the wet winter isn’t the most treacherous obstacle for the plants to overcome. With an incurable desire for fresh growth after the big freeze, our cute yet destructive four-legged friends (deer) are out to spoil the party. Despite being chewed on, these tulips can still produce flowers, as their flower buds have not been produced yet. 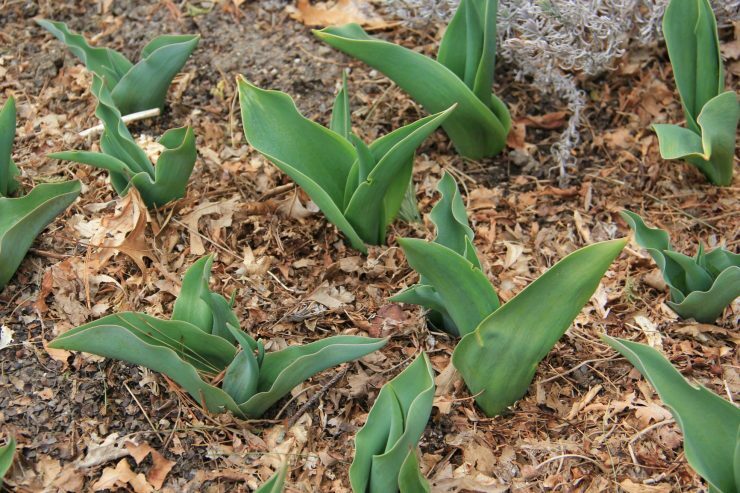 As I walk along the garden path as March comes to a close, I can’t help being angry when I see chewed up tulips. Deer will never understand that certain plants are important to us gardeners, so we must take the necessary steps to send them home with empty stomachs. The earlier you get to them, the better. Deer will find tulips even if they haven’t poked through the surface. 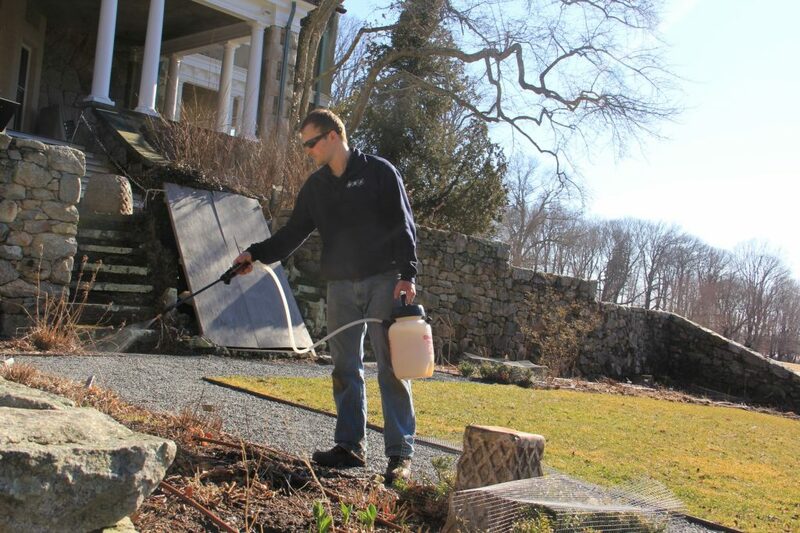 On the first nice day when the ground had begun to dry out, I grabbed a bag of Milorganite and headed out to the North and Rose Gardens to create our first level of defense. 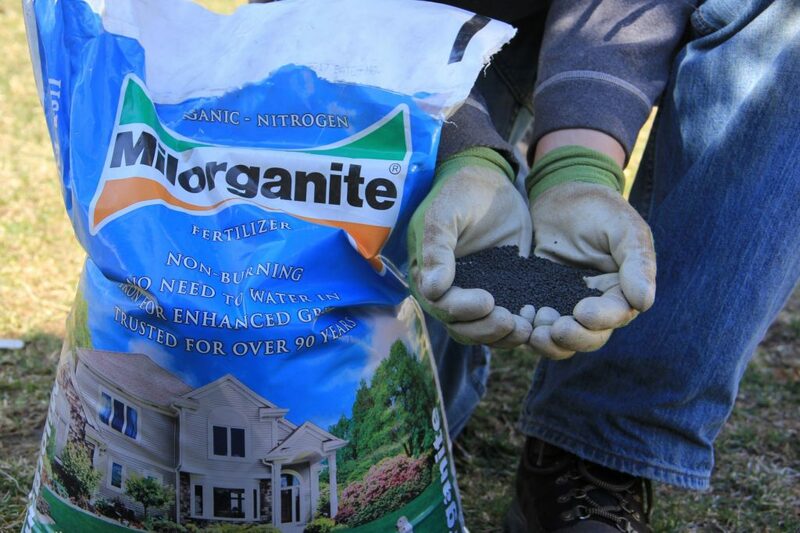 Milorganite, or Milwaukee Organic Nitrogen, is an organic fertilizer composed of human waste from the Milwaukee sewer system. To apply, simply spread a handful of granules over a clump of tulips. Milorganite does not burn tulips, but don’t overdo (or apply more than once a week) as the fertilizer has a high quantity of heavy metals. Deer can smell the “human” portion of the fertilizer and are immediately deterred. The next day, I return to the scene of the crime to apply the second of level of defense, organic deer spray. All your plants need is a quick misting; the taste will have deer spitting out their food like a toddler. Some find the smell of deer spray nauseating, while others may find it tolerable or even pleasant. No matter which category you fall into, the odor is worth enduring to provide protection for your plants. I try to spray at least once a week, at the end of the day, so the odor isn’t overwhelming for any garden visitors. Brands will tell you that one application can last several months, but if you apply weekly and keep the scent strong, the deer are far less likely to get comfortable with the scent. Switching up brands of spray throughout out the season is also a good way to keep the animals uncomfortable. Deer spray is also completely harmless to plants and animals. Yours truly using a pump sprayer to apply deer spray. The brand we are currently using is Deer Stopper. In the Cutting Garden, we decided to take a more physical approach. 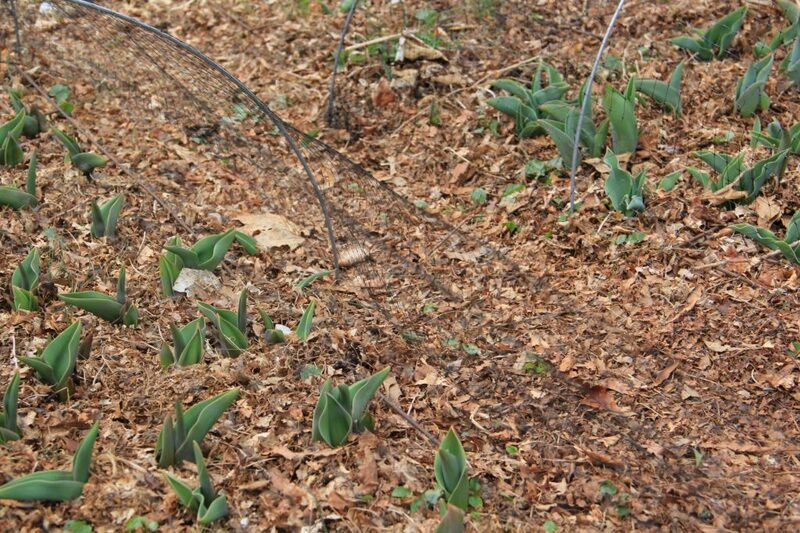 Betsy and I encased the tulips in deer fencing spread over metal hoops. The fencing is strong and thin; it’s hard to see even up close in the sunlight. A physical barrier is the only sure fire way to ensure 100% protection for your plants. I sleep a little better at night knowing the tulips aren’t becoming a midnight snack. Can you see the netting? Great way to protect your pants without sacrificing aesthetic. So far, the results seem very promising. The deer seem to have lost interest and decided to browse elsewhere. But this only the beginning, and we need to stay two steps ahead of the deer until the end of May. Keeping your plants protected isn’t always fun, but it’s worth it when the flowers brighten the landscape all spring long. I tell people, “you got to want it”. I have all the motivation I need. To me, it’s personal.